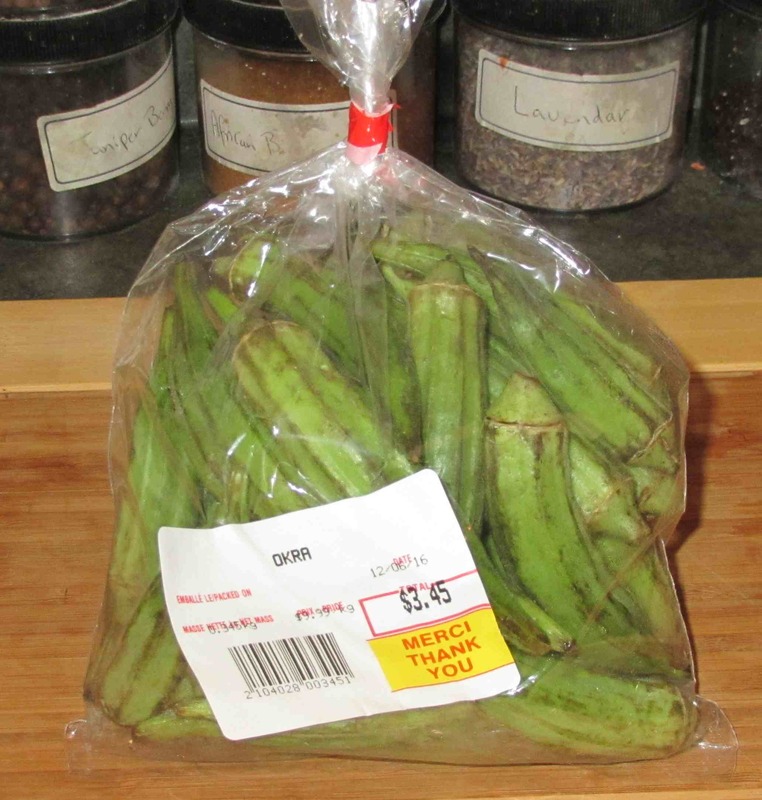 Most North Americans will probably associate Okra with the cooking of the American Deep South, especially Louisiana and the other gulf states. It originates from Africa, however, and is now very widely used in Indian cuisine. The Hindi name for the vegetable (the seed-pod of a flowering plant) is ‘bhindi’ but in many of my Indian cookery books it is referred to by the alternate English name of ‘lady’s fingers’. The inside of the pod contains a soft whitish pulp and numerous tiny seed rather like those of capsicums. The first thing one notices on cutting the pods open is that they exude a very slick, rather sticky substance and this becomes quite thick and mucilaginous, when you chew the raw flesh. The taste is quite mild on the whole, and the closest thing I can compare it with is French string beans. They are a bit bland, and not all that exciting, but they are still quite pleasant and should be enjoyable to all but the most die-hard green vegetable haters. In the southern Unites States, they are often battered and then deep-fried, and this practice seems to have caught on in Japan where they frequently figure in Tempura preparations. In Louisiana, they are usually included in the stews known as ‘gumbos’ and, indeed, some people know the vegetable by that name as well. You’re right, the first thing I thought of was gumbo. But I do like a good bhindi bhaji. I had one of those the other day! I thought it was some kind of bean, but it was really spicy…Now I understand why. Was it in an Indian restaurant? The pakager must have added something else .. Okra is really quite mild. Not spicy at all. They’re excellent pickled, but I also like them simply sautéed, sometimes with a bit of corn mixed in as a simple side dish. I didn’t like them as a child, but I love them now and was relieved to be able to find them in some of the small Asian stores here in the Netherlands. This is one veg I can’t seem to like. We had it in copious amounts while living in Mauritius and my husbands secretary would often send home an ocra (Lady fingers as they call them), garlic, tomato, onion, chilli casserole type thingy and our housekeeper would often bring it fried in oil to get my to like it but alas. Being Indian ive been eating it quite frequently and with varied dishes my mom makes of it. . I actually like it a lot. Actually a gumbo sounds really good as I have not had that in a very long time. From “the Wife”: I *really* like okra in Gumbo because the mucilaginous quality that John describes above really adds to the thickening of the dish. I really can’t imagine a “proper” gumbo without it! Oh, but the Indian dish he did with it was DELISH – I’m he’ll post it in due course! Pickled or fried, okra is yummy! I love the texture of okra! Mostly I use it in gumbo, but have used it a couple of times in callaloo (I love this Caribbean dish!). I’ve had the odd gumbo but never callaloo. I’d heard of the name before but had to google it. I’d like to try one of the seafood varieties, especially with conch. Wow! 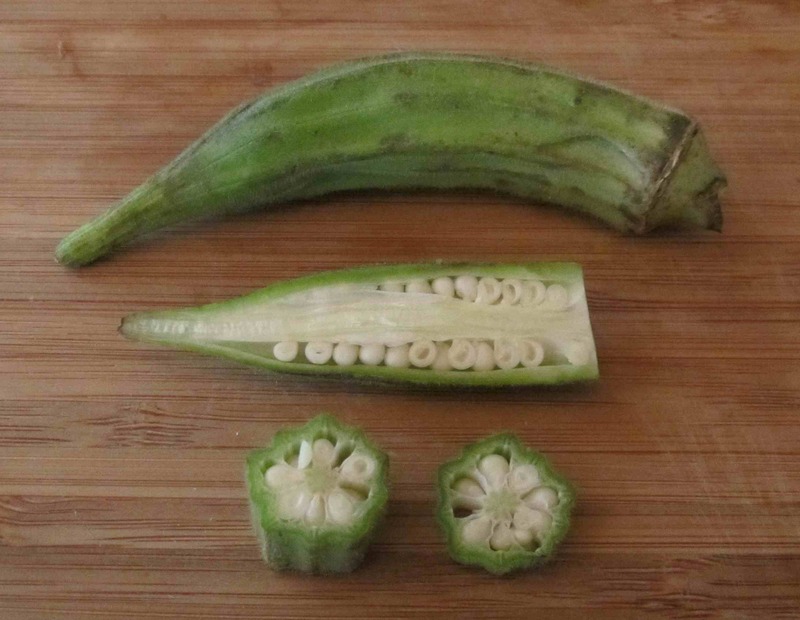 You paid a lot for that okra! Pickled okra rocks and while I enjoy fried often and in just about any Cajun stew, very small tender boiled pods are the best! It makes many people sick to watch another eat it so you end up alone, but if you put some in chicken broth and boil for about an hour – there is nothing better! All our fresh fruit, vegetables and meat comes by air so we basically pay a lot for everything… I am going to be doing a post about that fairly soon. I haven’t tried okra much at all. Probably because I haven’t ordered it in restaurants. It actually doesn’t appear much on menus in restaurants at least in Vancouver and Calgary. I can’t speak for Toronto since I haven’t lived there for the past decade. Okra must be expensive enough up in the Arctic!